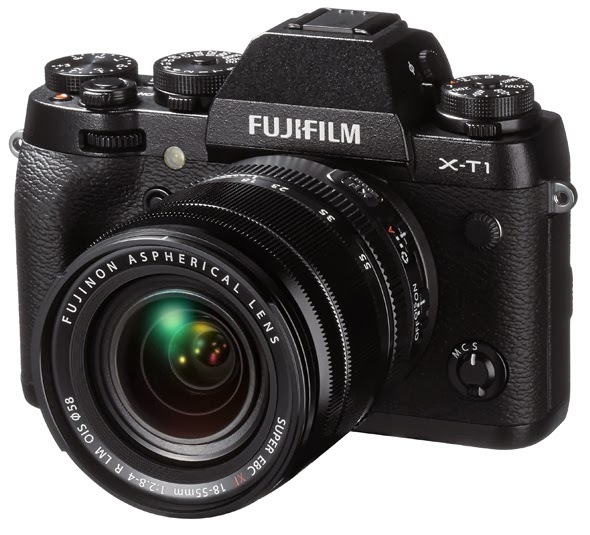 Fujifilm has expanded its mirrorless camera lineup with the new shooter, X-T1. The weather-sealed SLR-styled camera is built with the EXR Processor II, a 16MP APS-C X-Trans II sensor with a 6 x 6 color filter array and built-in phase detection AF, and a 2.36M dot electronic viewfinder. The X-T1's other features include continuous shooting mode of up to 8 fps, built-in Wi-Fi with remote control, and SDXC UHS-II memory card compatibility. The camera is expected to be available in February for $1,299.95 for body only and $1,699.95 with XF 18-55mm lens kit. The X-T1 one-touch WiFi connectivity lets you easily share images to your smartphone or tablet – pictures that these devices cannot capture - and remote shooting via smartphone or tablet using the Fujifilm Camera Remote app for unique capture opportunities. X-T1 with the XF18mm-55mm (27-84mm) F2.8-4 lens (kit) will be available for $1699.95, both in February 2014. *4: “X-Trans” and “Digital Sprit Image” are a trademark or registered trademark of FUJIFILM Corporation.